Disclaimer: This post is sponsored by BabbleBoxx.com on behalf of Healthy Choice. Thank you for supporting brands that make this blog possible. This isn’t a new year, new you kind of post because truth be told I kind like myself. This is more of a self care post. In 2018 a lot happened in both my personal life and my professional life and taking care of myself took a backseat to getting all the things done especially towards the end of the year. So I thought I’d put together a list of 5 steps to a better self in 2019 to keep me accountable and hopefully inspire some of you. These are just little changes (or upgrades) I’m making in my life that will overall improve it, make it less stressful and make me more healthy in general. 1. I’m not joining a new gym and promising to “workout everyday” instead I’m going to utilize the small set of weights and workout bands that I already have and I’m setting a schedule at the beginning of every week to workout. I know some people need to head to a gym for motivation, but personally I don’t. If I can do a quick 30-45 minute workout in my living room (or in the small gym in my building) I’m WAY more likely to do it (especially when it’s freezing cold outside). And adding my workouts to my weekly calendar beforehand make me less likely to skip them later on! 3. Get enough sleep. I’m not a person that can function on 5 hours of sleep a night, I’m not even a person that can function on 7 hours of sleep. I need a good 7 1/2-8 hours to wake up feeling good. I don’t know if it’s the fact that I work a lot on the computer and my phone or what, but I seriously struggle throughout the day if I don’t get enough sleep. 4. Take a mental health day (or hour) and don’t feel selfish about it. Whether your mental health time consists of going to the spa, taking a long walk with your dog, putting your phone on “Do Not Disturb”, taking a bath, reading a book or a little bit of everything just do it. Don’t think of all the things you could be doing instead like I’m famous for, instead think about how you’ll perform your to-do list so much more efficiently once your mind gets a break. 5. 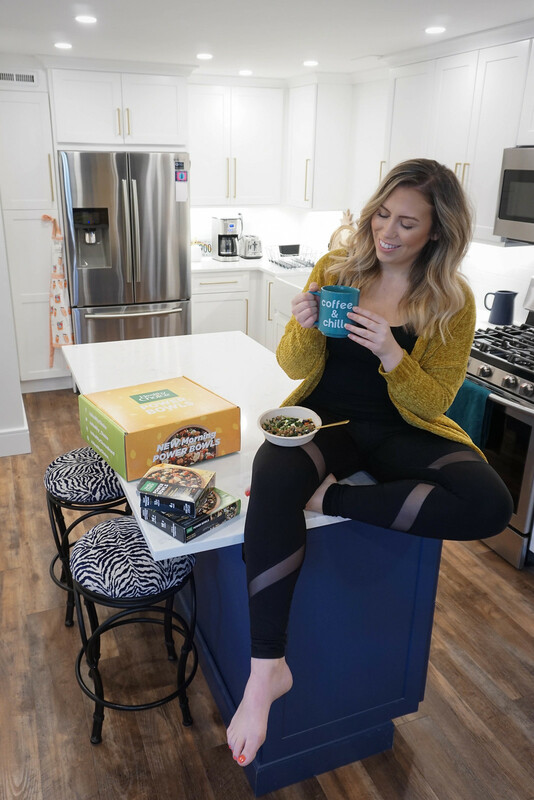 Keep healthy and easy meal options like the new Healthy Choice Morning and Vegan/Vegetarian Bowls on hand. I’m ashamed to admit how many times towards the end of 2018 that I ate straight garbage for a meal or didn’t eat at all because I didn’t have anything in my fridge or I was too lazy to cook something with too many steps. 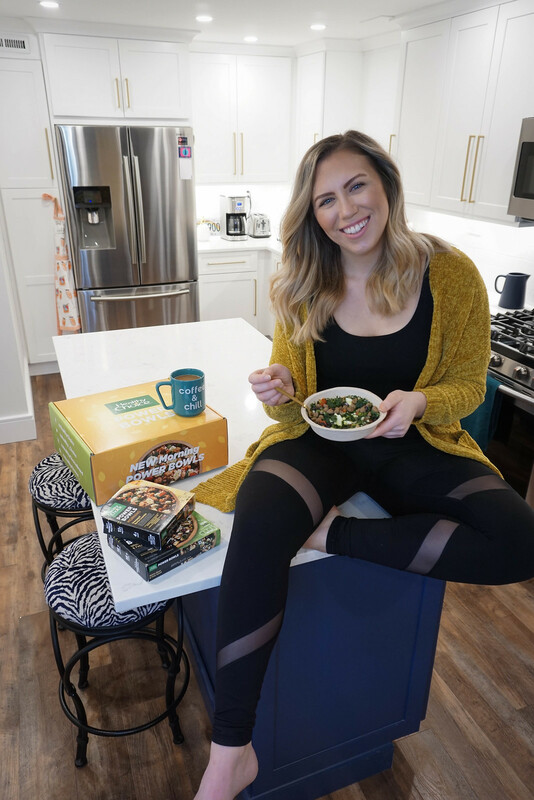 I got a chance to try two of Healthy Choice’s new Power Bowls and I was super impressed with the ingredients. All of the bowls have a base mixture of whole grains , leafy greens and proteins. 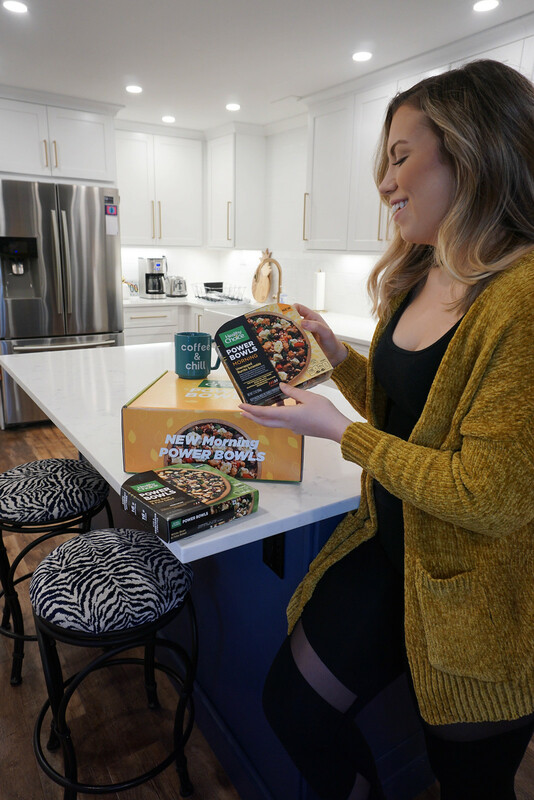 They really thought of everything when it came to putting together these meals, even the serving bowls are made from a plant-based fiber that is recyclable! The Unwrapped Burrito Scramble Morning Bowl is filled with turkey sausage with egg whites, black beans and vegetables served on top of steel cut oats, farro, buckwheat and red quinoa with a spicy tomatillo sauce and is a quick, nutrient-dense addition to breakfast time. The White Bean & Feta Salad is filled with white kidney beans with kale, chard and spinach served on top of brown and red rice, red quinoa and black barley with a red wine vinaigrette topped with feta cheese, dried cranberries and roasted pepitas AND has 16 grams of protein and 16 grams of fiber. Shop all 8 of the new Healthy Choice Power Bowls right here! What steps to a better self are you taking in 2019?